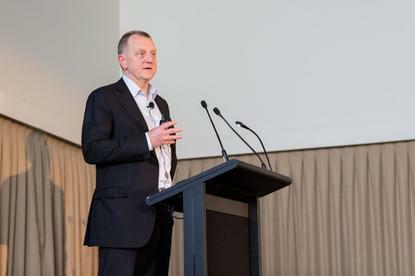 MacDonald – who is also chief executive of the NZ Department of Internal Affairs – told attendees at the ANZ CIO Forum that the NZ government had already taken significant steps towards building a single ICT ecosystem to support transformed public services. “It is one of the most challenging [things] because it involves every single department that interacts with citizens,” said MacDonald. The traditional government service models are no longer fit for purpose, he said. 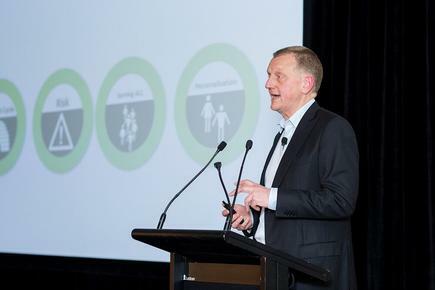 “When we talk about moving to a more ‘Amazon-style’ experience, it is about making it easy for the customer, government connecting the dots behind the scenes, with a mix of public and private sector providers,” he told attendees. MacDonald said this means using information agencies already have about their customers to provide services faster and more proactively. “We all know when New Zealanders are born because their birth is registered, he said. “Why don’t we contact people when they reach a certain age? We wait for them to contact us in the future. We should be reaching out and contacting them. “For instance, when a person turns 65, they will get a birthday greeting from the government with a message that they will receive their first super payment on this date." It is about putting the customer at the centre of their own digital life, or searching for digital ways to make their ‘life admin’ easier, MacDonald said. MacDonald added that the NZ government needs to match the level of services provided to citizens by private sector organisations. It will do this by designing digital services based on predictable life events. The customer only thinks of what they want to do, not what service is called or which agency has that service), he said. “They don’t differentiate between public and private sector – they want a seamless experience and increasingly, this is through their smartphone. “We live our life on smartphones. We want them [government services] met increasingly on our phones, our convenience, where we want to do it. We want to complete it and finish a transaction on it and not have to wind up in somebody else’s premises to do something,” he said. You have to put the citizen at the centre, not at the centre of your agency, but at the centre of our government. Traditionally, government agencies have planned, invested in and managed their own ICT. But the government’s new standardised, consolidated technology ecosystem will enable individual agencies to consume capabilities and provide smarter services, MacDonald said. “All of this is underpinned by a system-wide approach to assurance and privacy and security. But the only way we can do this is if we have an environment that has the ability to allow others to link into this ICT ecosystem,” he said. MacDonald said the NZ government has already laid the foundations to achieve this goal. There is a new catalogue of common infrastructure-as-a-service (IaaS) capabilities, which have already delivered $70 million in annualised savings, MacDonald said. The NZ government is also developing a ‘telecommunications-as-a-service’ offering for agencies, he said. “You have to put the citizen at the centre, not at the centre of your agency, but at the centre of our government. Think about the impact before you design your services,” he advised. Despite describing innovation and government as an ‘oxymoron’, MacDonald said governments do innovate, can innovate and continue to innovate. He said the New Zealand passport is an example of this type of innovation. New Zealand is the only country in the world where adult passports can be renewed completely online. “We developed a passport-strength electronic identity credential, co-branded it with the login service and launched in 2013 to the public and private sector to verify identity online,” he said. The application process was simplified, and costs less than the manual process it replaced, he said. MacDonald said it took him less than 14 minutes to renew his passport earlier this year. “This included 7 minutes to get a photograph I can live with for five years and six-and-a-half minutes to submit the information fully online. The passport arrived through the mail in four days. We did that by really thinking how to use technology to change the risk profile,” he said. Another online project, dubbed RealMe, provides a ‘passport strength’ identity for citizens. It’s a government-backed partnership between NZ’s Department of Internal Affairs and NZ Post. “If you are going to start using citizen services you need to make sure you are who you say you are,” he said. Eventually, RealMe will also be an information broker, enabling individuals to forward their details to other government departments. “The systems that drive the identity verification service also enable us to provide a consent-based service enabling citizens to share their personal information securely. “We want to leverage common capabilities to harmonise infrastructure and better enable info-sharing, simplifying procurement, reducing cost and risk,” he said. Finally, MacDonald admitted that delivering public services and moving transactional into a digital environment isn’t easy. The government faces significant challenges rolling out these services. Among these is a three-year political cycle which may restrict long-term investment and thinking, he said. Another is risk aversion, which can be counterproductive to innovation – as well as the need to serve all customers, he said. “Customers don’t have the option of another provider, and are reliant on government services and ability to meet their needs,” he said. MacDonald’s clarion call is for the imperative to ‘think differently’ and take a non-hierarchical approach to problem solving.